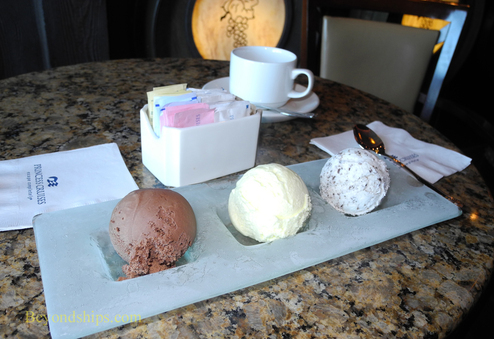 Above: A selection of gellato from the International Cafe. 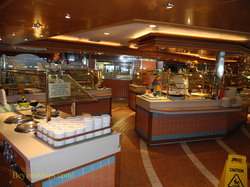 The International Cafe is located in the Piazza at the base of the atrium in Emerald Princess. 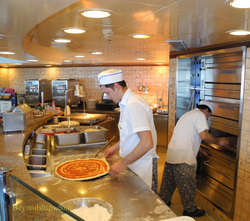 “In Italy, the piazza is the center of all activity. You see every one passing by. People can sit down and have something to eat, read a paper, look around. Sometimes people don't have time to go home and eat so they go to the bar in the piazza, sit down grab a salad, a sandwich and run away. Here, it is the same." 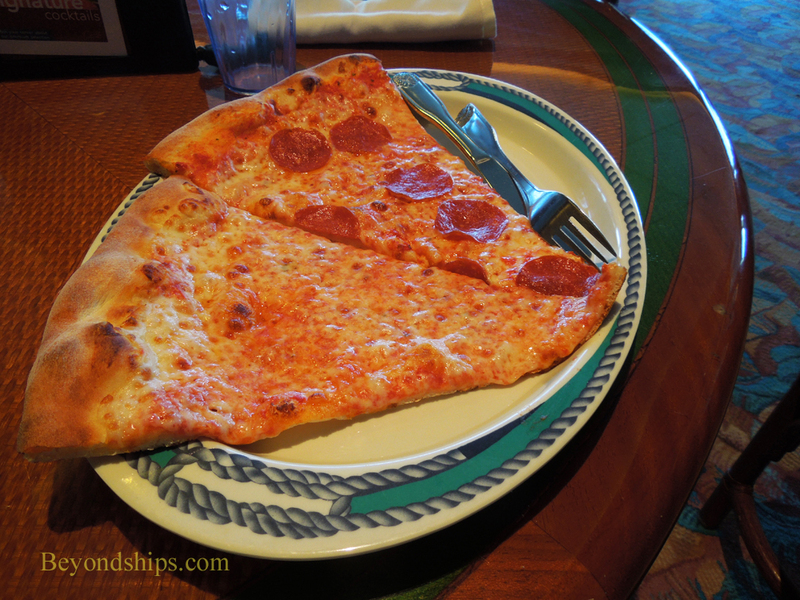 Most items, other than gelato and various specialty coffees, are complimentary. 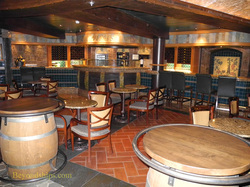 Also in the Piazza is Vines, the ship's wine bar. 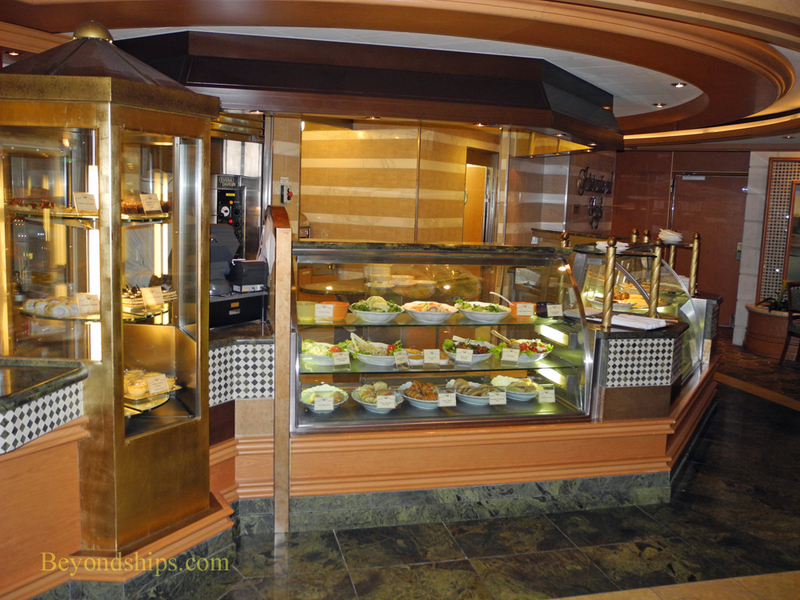 On sea days, Emerald Princess offers a British-style pub lunch in the Wheelhouse Bar. 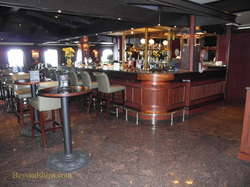 The menu features British comfort food such as Fish and Chips, Bangers and Mash, Steak and Kidney Pie and curries. There is no charge for the food. Drinks are their regular prices. 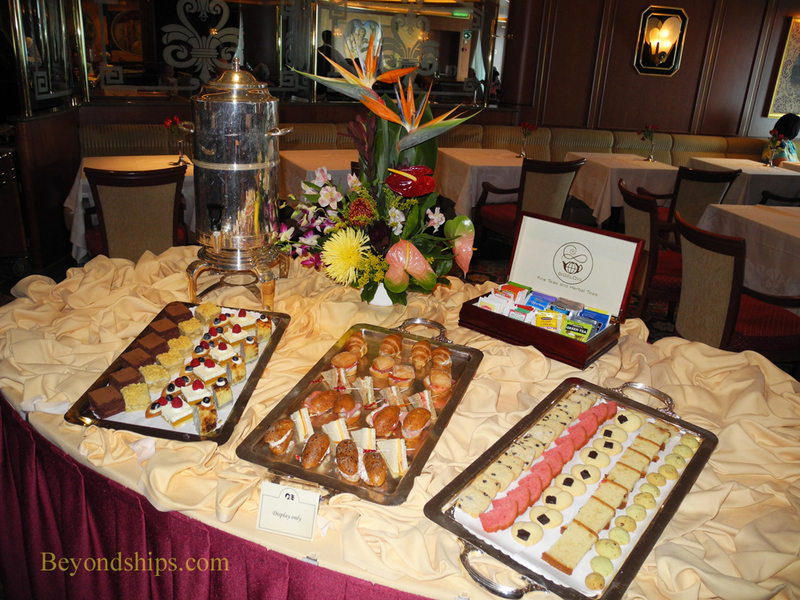 A culinary event that occurs each afternoon in the Da Vinci dining room is afternoon tea. Princess was at one time owned by the British line, P&O. 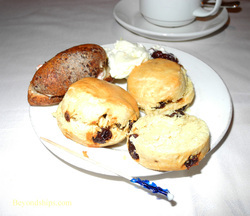 Therefore, it is not surprising that this repasse generally follows the British model with a selection of sandwiches, scones and cake. 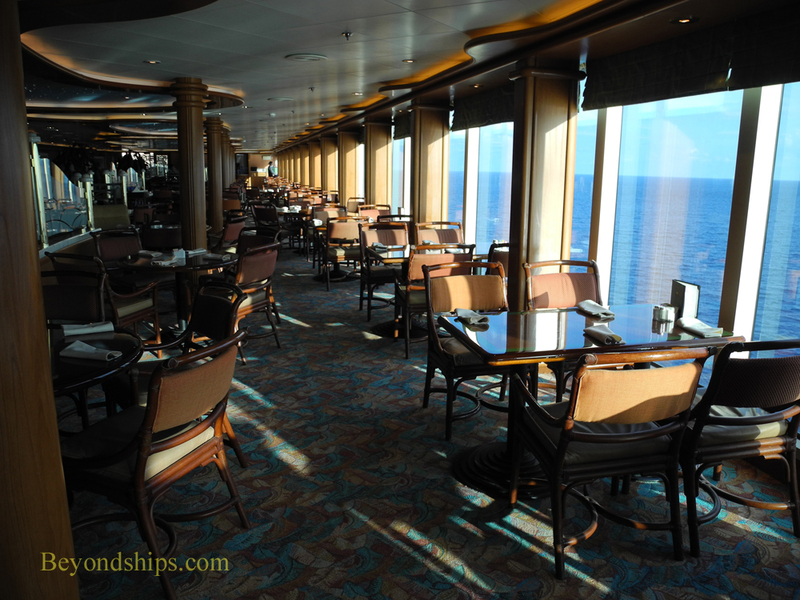 Emerald Princess has several other casual dining venues on Lido Deck near the main swimming pools.. Adjacent to the Pizzeria is Scoops where guests can get complimentary ice cream.